I’m happy do say that my nausea is MUCH better. I still have a little bit of it on and off, but 95% of the time I’m nausea free. A few weeks ago I couldn’t even imagine eating a salad again and here I am craving them and eating them whenever I can. To celebrate, I made my absolute favorite fall salad last week and enjoyed it twice. This salad can be vegetarian or not, depending on your preference. The recipe below makes enough for TWO salads – two for you or one for you and one for someone else. Or it would make enough for a side salad for about 4 people. Before I get into the recipe, I wanted to invite you to my next 3 week accountability group starting Monday, November 13th! Yes, it goes through Thanksgiving but you CAN have your turkey, stuffing and pie – I’ll just be there to get you back on track the next day. Be sure to reach out as soon as you can either by emailing me at fitnessfataleblog@gmail.com or filling out this form. Don’t wait until the new year to work on your health and fitness goals (and of course by joining now you can continue with me through the new year as well). And runners, this is a great time to work on your strength during the off season if you just wrapped up a fall race. 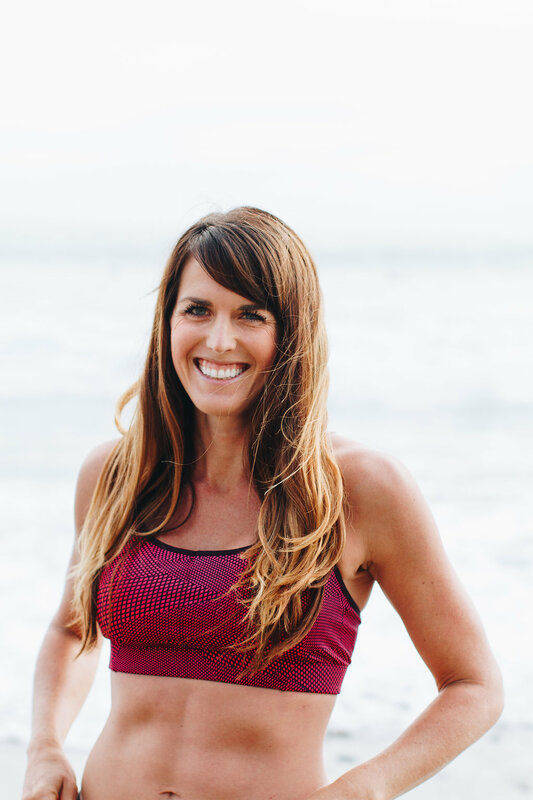 Also, Autumn Calabrese (trainer from 21 Day Fix/Extreme is coming out with a new program in January and I can’t wait for it!). It’s called the 80 Day Obsession and I’ll be using it postpartum for my comeback. I’ll be hosting a challenge group in January for those who want to try it as soon as it comes out! More on this later…. Back to the salad. This is 21 Day Fix and all Beachbody programs approved – it’s actually a GREAT salad for Shift Shop since it doesn’t include any of the yellow containers, which you don’t get many of in that program. For an entree salad – 2 grilled chicken breasts (either make ahead or I buy precooked ones from Trader Joes) OR sub with 1/2 cup quinoa to make vegetarian. For a side salad, simply eliminate the chicken/quinoa. Coat the butternut squash in olive oil and cinnamon and roast at 400 degrees for 20-30 minutes, or until soft. I usually do this in the evening or when I’m cooking dinner and not using the oven and then refrigerate for the salad the next day. Siena also loves butternut squash this way so it’s good toddler food too! Mix the salad ingredients together. Make the dressing by combining ingredients and mixing with a fork and pour over salad. I love adding Pom seeds to my salads and goat cheese is always a winner! This salad looks so yummy and filling for fall! It has many of my favorite foods. I can’t get enough of beets this season. To mix it up, I’d swap roasted beets for pom seeds and sub sweet potatoes for squash.